So overall, I really like the new clone skins. I mean, aside from ridiculous choices like rainbow legions and mixed phases. The skins themselves are a huge improvement, and some of them look incredibly cool. But one thing that bugs me is that they've lost almost all visual distinction between classes. I'm all for making some exceptions to the visual distinction rules In general, I'm not a hard-liner for keeping the classes visually distinct at all costs. But some visual distinction would be preferable to almost none. It used to be that the Assault had the primary basic armor, the Heavy had a visor and a backpack and a short kama, the Officer had the uniform, and the Specialist had the visor and the elite jetpack for some reason. The backpacks were good, the camera needed to go to the specialist, and the pauldrons are supposed to be for officers. That would have been simple and easy, leaving the skins with visual distinction while allowing the use of gear and such. 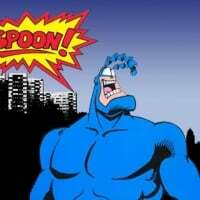 Some variation could be allowed from Legion to Legion, of course. All the classes of the 327th could have had kamas, and pauldrons for all except the Assault, while having the Officer pauldron be different. The Officer pauldrons could have varied between the small pauldron, the medium pauldron, and the large pauldron. There could have been Heavies with backpack but no visor, or visor but no backpack, or some could have had bandoliers. There could have been specialists with binocs up, maybe small pauldrons on some of them. That all would have allowed some variation, but it would have maintained the visual distinction. But instead, now we have Officers mostly having both the pauldrons and the kamas, but with some of all the other classes also having pauldrons and/or kamas sometimes. And for some ridiculous reason, the backpacks are just completely gone -- the one thing no one complained about and no one asked to be changed, and they just made them vanish. So losing visual distinction is unfortunate. But on the other hand, if they're just giving up on the idea of visual distinction between the classes, then it should be no problem to make all aliens available for all classes on Rebel and Resistance. Which would be great. 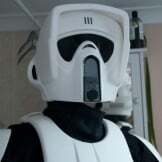 I agree with you, new skins are mostly awesome, and I like every legion/class having different gear etc... , I think indeed that clones in the series and movies were mostly basic guys, but in the game we got used to class distinction. What I'm saying is I could get used to this, and it makes sense because it's more in line with star wars, but as of right now, I miss something from the old ones. They kept the distinction mostly to the helmets(markings are different but nobody cares about memorizing every marking for every legion/class), but the Heavy was iconic for his gear, and the specialist too. Not saying everyone should have everything, but I think heavies should have at least all have the backpack or the bag to the side, or both. Specialist at least should have kept the backpack. Kamas and pauldrons instead I like them to being distributed around and no more class distinctive. But at least heavy and specialist backpack should stay, now ain't much making them different from basic assaults(except the helmet). Unnecessary changes. The developers love making these. Yeah. They had a slim, non-functioning jetpack attached to their backplate, like the one worn by Commander Cody in Episode III! That's not a jetpack. It's the ancestor of the "tank" that you see on the OT era Scout Troopers. Nobody is quite sure what it's for. Ah. Gotcha. The clone scout troopers also had that, too, except theirs looked more like the OT scouts. I disagree. 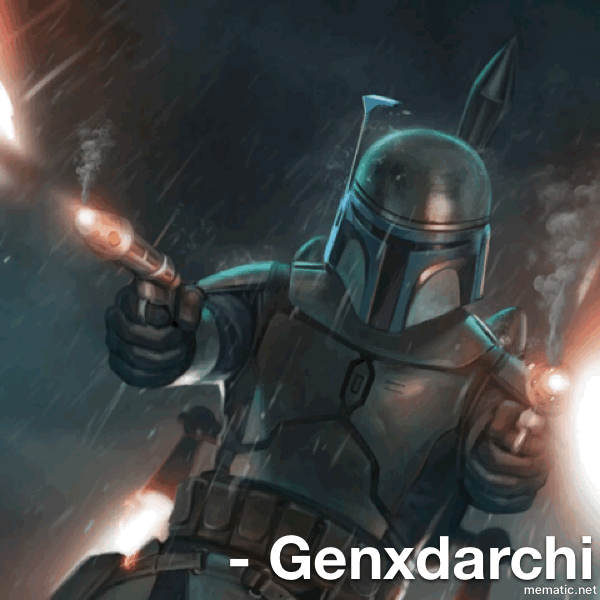 Mace over Qui Gon but Rex before Mace but not before Cody. Yeah, it’s a small bullet shaped one. This . . . this is absolutely beautiful. This is what we need. Present your canon source please. Well, whilst it wasn't ever seen being used as a jetpack in TCW or Ep III, it was attached to the back of Cody's armour and that's likely where DICE got it from. However, it bares a striking resemblance to the jetpack in Star Wars Rebels that was used by both Sabine Wren and a division of the Empire known the Imperial Super Commandos, all of which were comprised of Mandalorians. 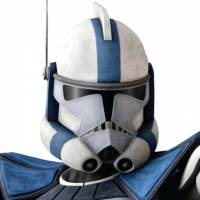 During the Clone Wars, Cody used a set of Phase I clone trooper armor, which featured a visor, an antenna on his helmet, and an antenna on his shoulder, a small light, and orange stripes, which was a color used by many of the other members of the 212th. 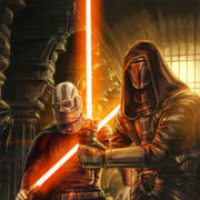 He had lamps on helmet at Geonosis. 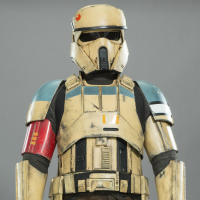 Later, when Phase II clone trooper armor was created Cody wore a similar set, but had a few changes. 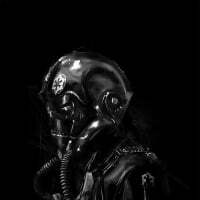 The changes were; two gray stripes coming down the sides of the top of his helmet, a small tool attached to the upper arm piece, one antenna on the shoulder pads with one on the back of his helmet, and a smaller, oval shaped jetpack. This also featured a visor and orange markings. 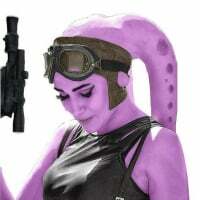 I am unsure on the initial Canon source, but this is where I found it. However Cody is seen frequently using a Jetpack in the 2003 cartoon. 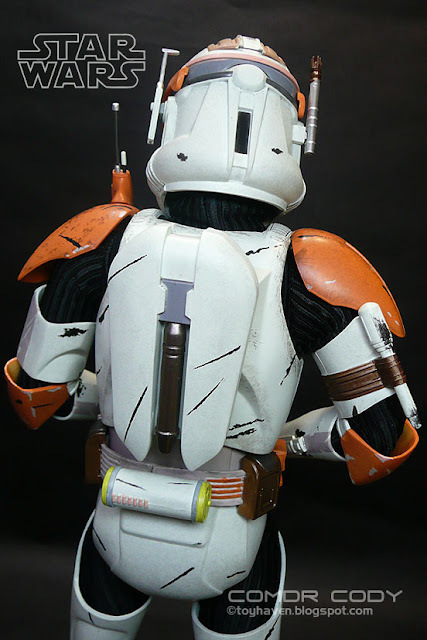 Also, if you google some images of Sabine Wren, her Jetpack is of the same design as Cody's. This is something that I actually disagree on. I don't think visual distinction among classes matters at all in a game like this. It's a fast-paced, arcadey, somewhat twitchy shooter game. You see an enemy player, you shoot. Besides, you can tell what class they are based upon their silhouette, what weapon they're using, and, if by chance they're using an ability in the moment, what ability they are using. I don't need to see the skin to tell they're a sniper and I shouldn't engage at long-range or need to take cover, or that they're an Officer because they're holding a small pistol in one hand. Let's go for full, complete, absolute customization or none. That's my opinion. I just want the Recon Specialist not to have the visor. 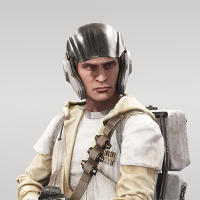 The new helmet fits in with the Specialist beautifully, but is ruined by those dumb goggles. Yeah, just makes it look dumb without the extra gear. No, it's a jetpack. It was only ever seen on Cody, and the canon material clearly defined it as a jetpack. The new clone skins are great! Best update so far in my opinion. I understand people wanting even more improvements, but we have to appreciate a job well done by the Devs. Well done in the sense that they got the markings correct after more than a year working on it? Or that they eradicated the phase accuracy they had established and kept for a year? 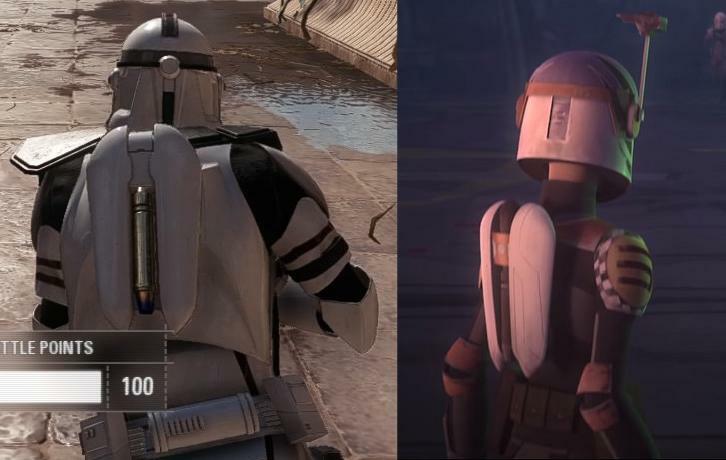 Or that they spent a year refusing to make valuable customization additions because of the sacred visual distinction of the classes, but have now gotten rid of all such visual distinction for clones? 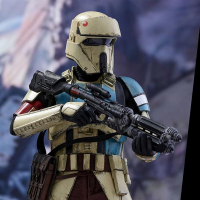 Like I said, I hope the devs see these discussions, right now with all the random colors and gear the clones look like a bunch of Fortnite characters running around on Star Wars planets. Thanks! This is what should have been done. I don't understand why the elements that made the classes distinct were mostly stripped and handed out seemingly at random, with an ounce of order. My main issue with this is usually I would shoot the assaults first as I knew they had the most range, and generally better aim. Usually heavies and officers can't shoot, so it was good strategy, its now harder to predict. Can we please get the default attachments back? They looked good. 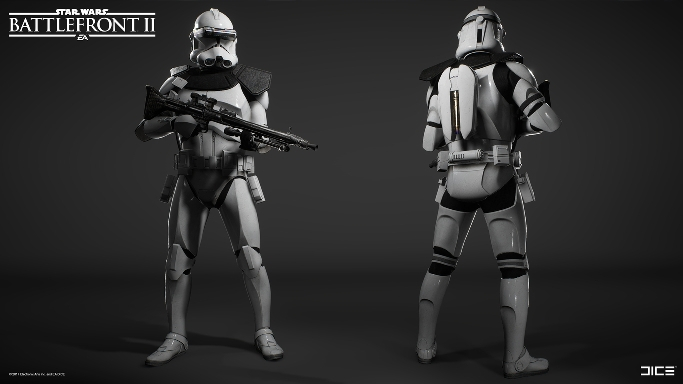 The clones look horribly bare without their gear. I wouldn't want the default attachments back in their default ways, though. As much of a jumbled mess as all of this is, at least they got pauldrons mostly on the Officers only, instead of just the Specialists. I'd hate to undo that. Just the backpacks on all the Heavies again, Maybe with one or two exceptions. and put kamas on most of the specialists, maybe with one or two exceptions. That would do it. Though I think it's fairly obvious they're not going to do anything else to these skins, frankly we're lucky we got them updated in the first place. Still, one can hope. I honestly wish there was even more customization. 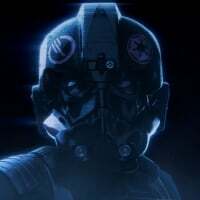 Empire also needs back the shock and shadow trooper skins as well. 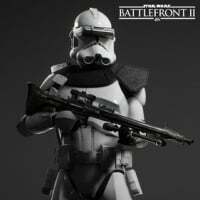 Seeing a shore trooper too wouldn't be anymore gamebreakinig than phase I and II on the same map. Not like it's getting reversed either. Also give the specialist his jet pack back. Agreed. What I highlighted before would be the ideal way to go, IMO. Bag/bandolier and backpack goes to the Heavy (removing the visor from Phase I like before), small pauldron, jetpack, and kama on the Specislist, and large pauldron on the Officer. It's annoying how they changed it. I miss my Heavy's gear and look!